Six months ago Nick was working in Washington then Alaska, I was in Eureka with five children (one of which was a 3 week old preemie). We knew that God did not want our family to live separate lives. So what did we do, we gave notice on our rental home, sold a ton of stuff, gave away even more, put a little in storage and packed a cargo van with our belongings. We spent the next 4 ½ months in Santa Paula, CA in a furnished apartment. The apartment was good to us, but it wasn’t ours, it didn’t feel like home. It seems like we had been forever dreaming of traveling the country as a family, but the dream became somewhat tangible about a year and a half ago when we met our wonderful friends, The Janssen’s, an awesome inspiring full-time traveling family. They lit a fire in us, however we didn’t have a job that would allow for us to travel and we weren’t independently wealthy, so honestly we never thought our dream would become a reality. And truly, could we actually do it, could we travel the country in an RV with 5 children 7 and under? But now we had the job, we just needed the RV. We left Southern California to spend a few weeks with family over Christmas. When we arrived we were in a difficult place, one that I do ever want to be in again, that place where everything is uncontrollable that you just freeze, there are so many huge decisions to make that you can’t even decide what to eat for dinner. 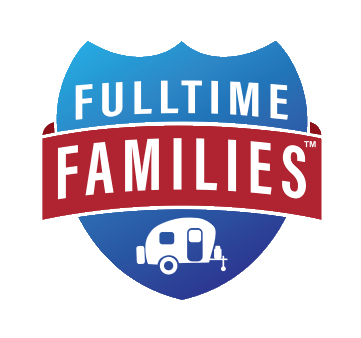 We had no idea if we were going back to furnished apartments, if we were going to rent a house in Eureka and Nick would travel without us or if by some miracle we could find an RV that would work for us and we could travel as a family. We didn’t want to do the apartment thing, it is a stressful task to arrive somewhere and find a furnished apartment that will allow 5 children and not be thousands of dollars a month. We didn’t want to live apart, I mean we just changed our entire life 4 ½ months earlier because we wanted to be together. We spent hours upon hours trying to find the right home on wheels. We are a family of 7 and don’t have unlimited funds, so our options were slim. But as God would plan it, just when we thought we would never be able to find the right RV, He put one right in front of us. Photos of our time in Santa Rosa, CA here. Photos of our time in Humboldt, December 2009 here. OK-It's me again- I know God lead me to your site now. We were renting a home and just put in our notice and sold our stuff off 3 months ago. We really believe this is the direction God has for us. We are praying for God's providence on the RV and job situation (husband self employed and trying to transition into mobile work) and like I said, staying with parents in the meantime. We are in the unknown point of limbo that you describe but trust that God will provide. I'd love to know to story of how God provided your RV. Need some encouragement here. God IS great! Your story is an awesome! I'm so glad HE provides for us all who trust in Him!